This entry was posted in Mary P. and tagged drama, movie, war on December 15, 2017 by jamiea. This entry was posted in Jennifer and tagged drama, movie, war on October 20, 2017 by jamiea. This entry was posted in Jennifer and tagged drama, movie, war on July 7, 2017 by jamiea. 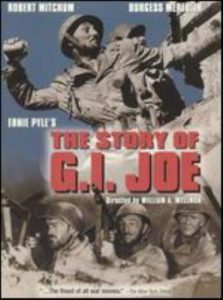 Based on the columns of popular war correspondent Ernie Pyle (Burgess Meredith), Story of G. I. Joe was released in 1945 at the very end of WWII. 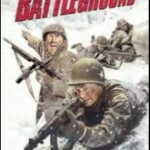 The movie follows “C” Company of the 18th Infantry as it fights across North Africa and up through Italy, focusing on a handful of ordinary soldiers and the well-liked Lieutenant Walker (Robert Mitchum). Actual veterans of the Italian campaign, waiting on the west coast for deployment to the Pacific, played extras in the movie. 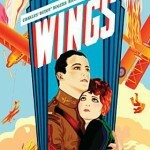 Check out our spotlight of director William Wellman for reviews of his other war movies. 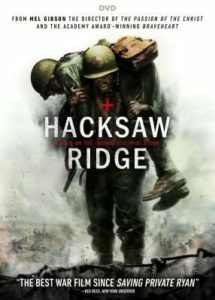 You’ll notice his war films avoid unrealistic heroics in favor of poignant stories of ordinary men under hellish circumstances. This entry was posted in Debbie and tagged drama, movie, war on September 2, 2016 by jamiea. This entry was posted in Debbie and tagged movie, spotlight, war on May 20, 2016 by jamiea. 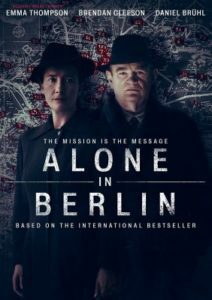 Gregory Peck plays an Irish Monsignor, who, during WWII, rallies an unlikely group of people to shelter Allied soldiers and Jews in Nazi-occupied Rome. 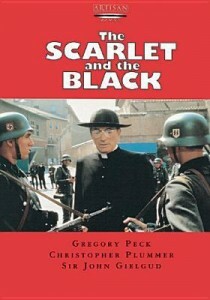 The events in The Scarlet and the Black are inspired by true events, and the character of Monsignor O’Flaherty, inspired by a real Vatican priest. Gregory Peck is brilliant here as the lively and cunning O’Flaherty who goes up against Coronel Herbert Kappler, the head of Nazi operatives in Rome. Kappler, in turn, is deftly played by Christopher Plummer. While cold and ambitious, the colonel is also a dedicated family man—certainly not a one-dimensional character. 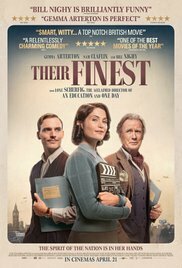 Plummer and Peck don’t share too much time on-screen, but when they do it’s a delight. 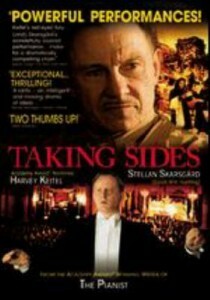 Shot on location in Rome, this beautiful film features great acting and a well-placed plot. A must-see in my book. This entry was posted in Christine M. and tagged drama, movie, war on April 22, 2016 by jamiea. 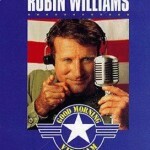 I’ve seen the clip of Robin Williams saying, “Gooooood morning, Vietnam!” loads of times and always wanted to watch the film; I finally viewed Good Morning, Vietnam for the first time after his death. As an irreverent airman and a DJ in 1965 Saigon, Adrian Cronauer is in Vietnam to provide a bit of comedic relief to the troops (and as a bonus, irritate his superiors). Williams’ comedic talents are on full display. His monologues, voices, and impersonations, as well as his physicality, keep your eyes glued to the screen. And while he excels as a comedian, he handles the dramatic turns admirably as well. The music is amazing, highlighting many hits of the 1960s. Check out the soundtrack that nabbed Williams a Grammy (it features a mix of Williams’ comic routines and music). Check out Roger Ebert’s take on Williams’ performance and the film. This entry was posted in Jennifer and tagged comedy, movie, war on October 17, 2014 by jamiea. During WWI, one of the most notorious battles of the war was fought on the Gallipoli Peninsula in the crumbling Ottoman Empire. French, British, Australian, and New Zealand troops suffered a great defeat against the Turks. Gallipoli is the story of two young Australians who join the army for adventure and soon find themselves in a strange land facing overwhelming odds. The first Australian set half of the movie is full of humor and boyish adventure building to the tense and poignant end. Mel Gibson plays one of the two young soldiers in one of his very early roles. 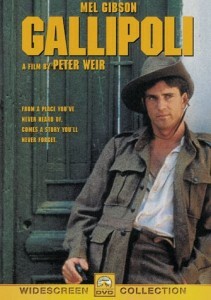 You can also watch a documentary about the battle in Gallipoli. Did you know? 100 years ago, on June 28, 1914, the assassination of Archduke Franz Ferdinand was the catalyst that started World War I. 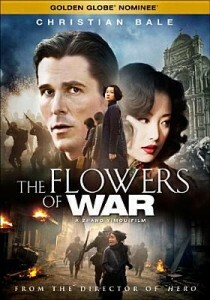 This entry was posted in Debbie and tagged movie, war on June 27, 2014 by jamiea.